Leicester City will travel to Old Trafford to take on Manchester United in the first game of the season. Claude Puel would probably have wanted a more comfortable fixture to start his season with, but they are likely to face a depleted United squad who are reeling from injuries and unavailability of players due to their World Cup commitments earlier. 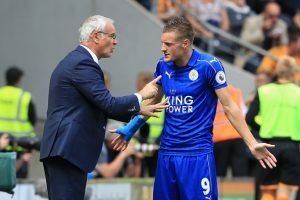 The Foxes ended their season badly the last time around, and there were rumours doing the rounds that the French manager could be sacked before the beginning of the new season. However, the board has shown faith in him, and they have also backed him in the transfer market by acquiring some key players. James Maddison and Ricardo Pereira are the two standout signings, and both of them would be expected to play a crucial role in the upcoming season. One of the major headaches for the manager has been keeping hold of Harry Maguire who is continually being linked with a move away from the club. Reports suggest that United are willing to pay £75m for his services after an impressive outing in Russia, but Puel is holding on to his guns as he will be aware that he cannot let another one of his essential players leave especially when there is not enough time to look for replacements. Midfielder Matty James would miss out the start of the season, but the Foxes are well covered in that position. Jamie Vardy struggled with an injury in Russia and had a short preseason, which would likely mean that he would be on the bench for this encounter. Harry Maguire is also set to miss the first game. New signing James Maddison is carrying a little niggle, though he is expected to start. Kasper Schmeichel didn’t do his reputation any harm at the World Cup as he was one of the standout performers for Denmark. The result against Croatia might not have gone his way, but his performance in that game would be etched in everyone’s memory. There was a time when he was being linked with a move away from the club but Puel would be happy that his ‘big Dane’ would stay on at the King Power Stadium. Wes Morgan and former Manchester United defender Jonny Evans will be expected to start in the centre back role. Morgan often struggled last season as it seemed like he was past his prime but with the absence of Maguire, Puel would hope that the veteran could pick up his game. Former Porto fullback Ricardo Domingos Barbosa Pereira will be expected to start in the right back position and signing him can turn out to be a shrewd piece of business by the Foxes. Young Ben Chilwell will reprise his left-back role after he has made that spot his own last season. Wilfred Ndidi was one of the standout players in midfield last campaign and a lot would depend on him in this fixture. Spaniard Vicente Iborra will partner him in the defensive midfielder role. On the attacking front in midfield, James Maddison will start. He can be one of the players to watch out for after a rip-roaring campaign in the Championship for Norwich City. Puel would have to deal without the cutting edge of Riyad Mahrez, and Fousseni Diabaté has to step up. The experienced Marc Albrighton will start down the left wing to complete the midfield force. In the absence of Jamie Vardy, Kelechi Iheanacho will be expected to lead the line. Vardy might feature from the bench if required. Are Liverpool The Biggest Winners Of This Transfer Window? Newcastle United Linked With This Brazilian Midfielder: A Great Deal If Benitez Can Pull It Off? Leeds United Looking To Land 27 Y/O Striker From Hull City For Free: Right Man To Solve Attacking Woes? Manchester City Emerge As Surprise Suitors For This Bundesliga Sensation: Ideal Fit For Pep?